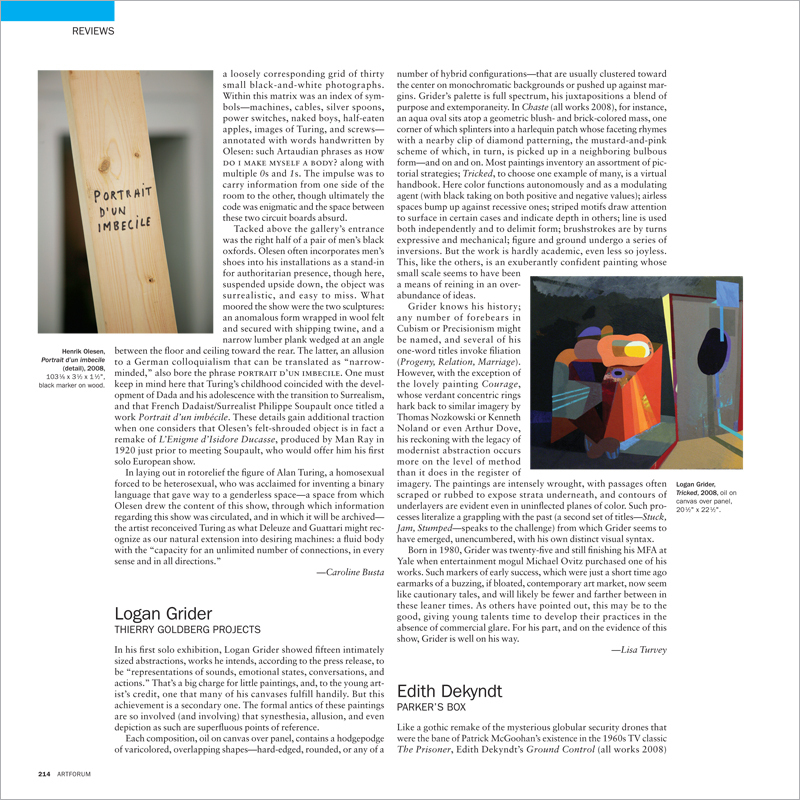 In his first solo exhibition, Logan Grider showed fifteen intimately sized abstractions, works he intends, according to the press release, to be “representations of sounds, emotional states, conversations, and actions.” That’s a big charge for little paintings, and, to the young artist’s credit, one that many of his canvases fulfill handily. But this achievement is a secondary one. The formal antics of these paintings are so involved (and involving) that synesthesia, allusion, and even depiction as such are superfluous points of reference. Each composition, oil on canvas over panel, contains a hodgepodge of varicolored, overlapping shapes—hard-edged, rounded, or any of a number of hybrid configurations—that are usually clustered toward the center on monochromatic backgrounds or pushed up against margins. Grider’s palette is full spectrum, his juxtapositions a blend of purpose and extemporaneity.